Evidence shows defendant in Motorcycle Club trial served as a police informant. DETROIT, MI. 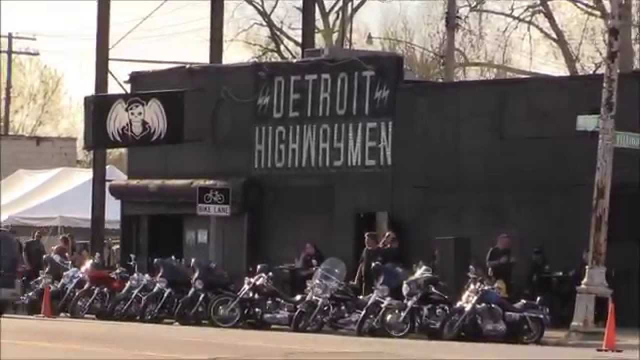 (April 29, 2017) -- When the U.S. Attorney's Office indicted 91 alleged members and associates of Detroit's Highwaymen Motorcycle Club on allegations of racketeering, drug trafficking, theft and murder for hire, a central thread in the case was club leader Aref (Steve) Nagi's attempts to root out suspected snitches. Nagi's preoccupation with informants inside the storied and homegrown motorcycle club — whose violent history is credited with keeping the Hells Angels out of Detroit — was evident in his rambling, late-night phone conversations, which were secretly recorded by the FBI and introduced as evidence at the 2010 trial in federal court in Detroit. And when the FBI raided the Highwaymen's Michigan Avenue clubhouse in southwest Detroit in 2007, they discovered a photograph of one of their two confidential informants —with the word "rat" scrawled in black marker across his face. The case sent more than 30 Highwaymen to prison —- many, including Nagi, for lengthy sentences. But some of those convictions are now being challenged because of new revelations that Nagi himself — a former Highwaymen vice president and the lead defendant — had worked as a confidential informant for federal and local police agencies. Convicted Highwayman Gary (Junior) Ball Jr., who from his federal prison cell used Michigan's Freedom of Information Act to uncover Nagi's hidden past, says Nagi and his Detroit attorney, James Thomas, led defense strategy meetings in the massive case. Among the concerns: Whether what he and other defendants thought were confidential disclosures made to attorneys may have been fed, through Nagi, to the FBI and prosecutors. The Highwaymen, founded in Detroit in 1954, gained infamy in the 1970s when some members were convicted of bombing and raiding homes and clubhouses of rivals. The outlaw motorcycle club, which at least until the indictments was Detroit's largest, was seen by many as an outlaw among outlaws — banned from a federation of Detroit clubs founded by a former Outlaws president. 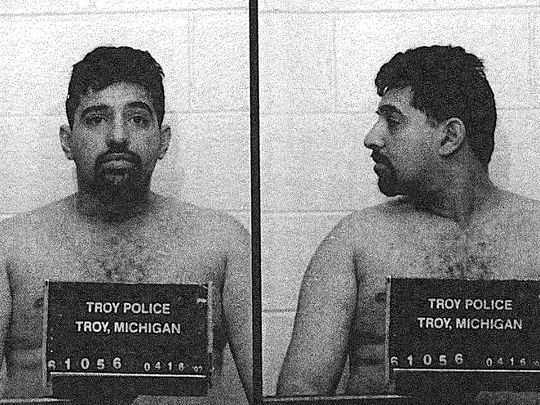 Records released by Troy Police Department under the Freedom of Information Act show Highwaymen leader Aref "Steve" Nagi had acted as a police informant. In a March 29 court filing, Assistant U.S. Attorney Andrew Goetz highlighted some of the Highwaymen lore, alleging the club had "terrorized southwest Detroit for decades" through drug dealings, beatings and theft and "got away with everything." He described an incident in which several club members pulled up in front of an occupied southwest Detroit home and fired 15 rounds into it, as well as beatings administered with fists, beer bottles and chairs on occasions when club members encountered a suspected snitch, or someone who was significantly behind on his drug payments. Ball, 51, who is serving a 30-year sentence and wants a new trial, has a May 17 hearing scheduled before U.S. District Judge Nancy Edmunds. The hearing is to explore other irregularities Ball uncovered, such as the fact that his own defense attorney, Lawrence Shulman of Birmingham, without Ball's knowledge, also represented a codefendant, Randy McDaniel, charged in connection with some of the same crimes as Ball. Court records show Shulman cut a deal for McDaniel in another federal case that resulted in his charges in the Highwaymen case being dropped. The Shulman conflict alone, which Shulman denied existed in an e-mail to the Free Press, is grounds for Ball — convicted of racketeering, conspiracy to transport stolen vehicles, drug trafficking conspiracy, and conspiracy to obliterate vehicle identification numbers — to get a new trial, said Ball's Alabama attorney, David Schoen. But the Nagi revelations, he said, have the potential to also undo other convictions. "The case is a mess," Schoen said. 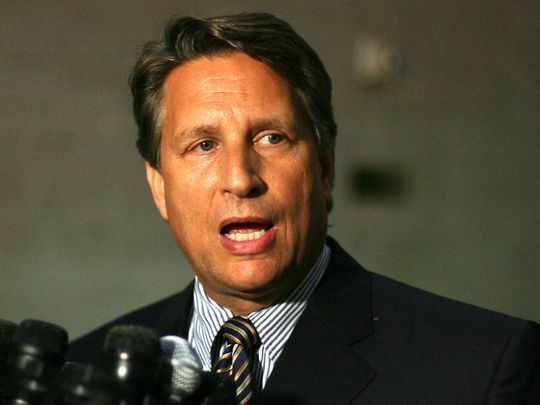 Thomas, well-known in Detroit as the lead defense attorney in former Mayor Kwame Kilpatrick's federal corruption case, vehemently denied Nagi ever acted as a police informant. He swore an affidavit to that effect in November. Ball must have Nagi confused with some other Aref Nagi, Thomas insisted, pointing out that the Aref Nagi he represented, sometimes known as "Steve" or "Scarface," has a birth date of Aug. 17, 1963. That, however, is the same birth date as the Aref Nagi who, in 1992, arranged for delivery of 2 kilos of cocaine in a shopping center parking lot, then gave the signal for Troy police and the U.S. Drug Enforcement Administration to swoop in, according to records Ball obtained using the FOIA. Booking photos released by Troy Police also match Nagi's image. In the Highwaymen trial, "the defendants agreed to have Mr. Nagi's defense attorney serve as a sort of defense team leader and Mr. Ball would have never agreed to the same had he known all relevant facts," Schoen said in a court filing. Federal prosecutors, unlike Thomas, aren't denying the truth of what Ball discovered, including Nagi's past role as a police informant. But they are downplaying its significance, and Assistant U.S. Attorney Christopher Graveline told the Free Press on Wednesday he wasn't even aware at the time of the Highwaymen trial of Nagi's past role as an informant. Nagi, who was convicted of racketeering, assault with a dangerous weapon, use of a firearm in committing a violent crime, conspiracy to transport stolen property, drug conspiracy and other charges, was sentenced to 37 years in prison, later reduced to 27 years on appeal. In 2016, Edmunds further cut Nagi's sentence to 20 years, based on submissions from Thomas about his "exemplary" conduct in federal prison. Nagi's "conviction at trial and lengthy sentence should be enough proof of the fact that he did not cooperate," Graveline said in an April 5 court filing. "However, the government can aver that the case agent never interviewed Mr. Nagi as part of his investigation and both the undersigned and the case agent are unaware of any attempts by Nagi to cooperate, at any time, with law enforcement, in their investigation of the Detroit Highwaymen Outlaw Motorcycle Club." But Schoen said it's important for Ball to know the full history of Nagi's cooperation with federal and other police agencies, and who decided to conceal Nagi's past from Ball, even if it turns out Nagi wasn't a "spy in the camp" during the Highwaymen trial. At a minimum, he wants a chance to question Nagi and Thomas under oath. "The overriding point is, the defendants are entitled to know this stuff," and it was never disclosed, Schoen said. Since Ball raised the issue, two other imprisoned Highwaymen — Leonard (Dad) Moore, who was dubbed the club's "godfather" at trial, and former national president Joseph (Little Joe) Whiting — have filed court papers making similar arguments. "Mr. Ball and Mr. Moore were constitutionally entitled to know that Nagi had been in the government's employ as a cooperating witness," Moore attorney Martin Beres said in a December filing. While Nagi's history has implications for the entire trial, attorney Shulman's simultaneous representation of Ball and another Highwaymen defendant, McDaniel — which was concealed from Ball — is in some ways even more troubling, Schoen said. Shulman was admonished — but not charged or disciplined — by the Michigan Attorney Grievance Commission in 2014 for not responding to Ball's 2013 complaint alleging a conflict of interest. But Shulman said the commission never made a determination that Ball's conflict of interest allegation had merit. 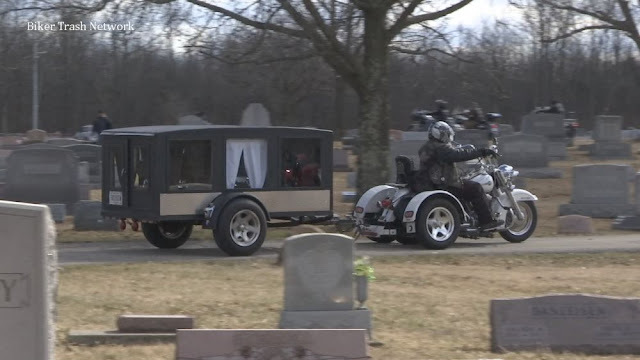 Shulman, who first made an appearance as Ball's attorney in June 2008, made his first appearance for McDaniel just a few weeks earlier, in March 2008, in a 2006 criminal case in Monroe County. Shulman also represented McDaniel beginning in 2009 in a separate drug case in front of a different federal judge in Detroit, and it was pursuant to the 2010 plea deal Shulman negotiated for McDaniel in that case that Edmunds dismissed McDaniel as a defendant in the Highwaymen case, in April 2011, records show. Graveline told the Free Press he is limited in what he can say before the May 17 hearing, but he denied that McDaniel's charge in the Highwaymen case was negotiated away as part of McDaniel's plea deal in the other federal case. Instead, McDaniel's guilty plea meant he was already facing more prison time than he would have received in the Highwaymen case, so he was dropped as a matter of efficiency, Graveline said. Shulman said that's his understanding, also. Shulman never made an appearance for McDaniel in the Highwaymen case, where McDaniel was represented by another attorney. Schoen and Ball believe that was to conceal his dual and conflicting representations. Schoen told the Free Press that McDaniel told him that Shulman in fact represented his interests in both cases. Shulman said that's "simply not true." Schoen says prosecutors must have known, and Edmunds should have known, that Shulman was representing both Ball and McDaniel. Both had a duty to inform Ball, who was kept in the dark, Schoen said. Ball and McDaniel weren't just charged in the same wide-ranging case. 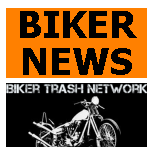 Two of the charges Ball faced related to the same set of facts under which McDaniel was charged — the alleged theft of motorcycles in Myrtle Beach, S.C., in 2006, and their transport to Michigan to receive false registration titles. In fact, evidence shows McDaniel was the go-to guy for changing vehicle registrations — an offense for which Ball was ultimately convicted, Schoen argues. Ball and Schoen allege Shulman pulled his punches in cross-examining certain witnesses, not wanting to explore areas that would help Ball but implicate McDaniel. "For Shulman, there was a clear risk to his other client's (McDaniel's) interests if he were to pursue plea negotiations with Mr. Ball or if he pursued certain lines of defense that would have well served Mr. Ball, but would have inculpated his other client (McDaniel) or undermined stories McDaniel had told the government in his cooperation," Schoen said in a court filing. Shulman told the Free Press there was no conflict. Ball knew he was representing McDaniel in the other cases and there was no need for Ball to sign a conflict waiver because no conflict existed, he said. "I didn't represent Mr. McDaniel in the Highwaymen case, and Mr. McDaniel was not indicted in that case until well after Mr. Ball was indicted," Shulman said in an e-mail. "McDaniel had another attorney appointed to represent him in the Highwaymen case. My cases with Mr. McDaniel were unrelated." Shulman said Ball's 30-year sentence was excessive, and he wishes him well in getting a new trial, but "I went to the mat for him during trial and left it all on the floor." Prosecutors argue that the federal case in which Shulman represented McDaniel had nothing to do with the Highwaymen and McDaniel was never called as a witness against Ball. They also say in court filings that they had strong evidence against Ball on the drug conspiracy charges — including direct sales by Ball to a police informant — which had nothing to do with McDaniel. "Despite his best efforts to conflate the lengthy timeline of this case and assume certain facts about his defense counsel, there was no conflict of interest in the defendant's case," Graveline said in a court filing. Ball's first attorney in the case, Lee O'Brien of Troy, represented Ball from the start of proceedings in October 2006 until May 2008, after O'Brien himself was charged in the case, with making false statements. Prosecutors knew O'Brien, who could not be reached, was under investigation and should have let Ball know he needed to get another attorney, Schoen argues. "For O'Brien, who, according to investigative reports was suspected of being involved with illegal conduct with Mr. Ball, he risked being inculpated if he were to have Mr. Ball pursue plea negotiations," he said. Graveline said in a court filing that the 19 months during which O'Brien represented Ball were not a crucial state in the proceedings and Ball can only argue, quite speculatively, that O'Brien's representation prevented a possible plea deal at that time. However, "of the 17 individuals charged in the original indictment, none of them resolved their cases between October 2006 and May 2008," he said.